A clever, timely novel about a marriage, and infidelity, the meaning of true spirituality, perception and reality from the author of Sad Desk Salad, in which a scorned ex-wife tries to puzzle out the pieces of her husband’s mysterious death at a yoga retreat and their life together. It’s been two years since the divorce, and Dana has moved on. She’s killing it at her law firm, she’s never looked better, thanks to all those healthy meals she cooks, and she’s thrown away Ethan’s ratty old plaid recliner. She hardly thinks about her husband—ex-husband—anymore, or about how the man she’d known since college ran away to the Southwest with a yoga instructor, spouting spiritual claptrap that Dana still can’t comprehend. But when she sees Ethan’s picture splashed across the front page of the New York Post—”Nama-Slay: Yoga Couple Found Dead in New Mexico Cave”—Dana discovers she hasn’t fully let go of Ethan or the past. The article implies that it was a murder-suicide, and Ethan’s to blame. How could the man she once loved so deeply be a killer? Restless to find answers that might help her finally to let go, Dana begins to dig into the mystery surrounding Ethan’s death. Sifting through the clues of his life, Dana finds herself back in the last years of their marriage . . . and discovers that their relationship—like Ethan’s death—wasn’t what it appeared to be. 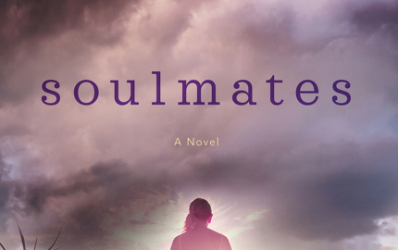 A novel of marriage, meditation, and all the spaces in between, Soulmates is a page-turning mystery, a delicious satire of our feel-good spiritual culture, and a nuanced look at contemporary relationships by one of the sharpest writers working today. 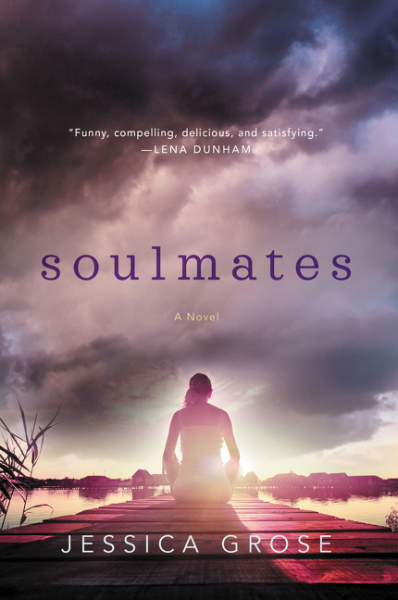 This novel, Soulmates, is a quirky little book, and even after reading, I’m not sure I quite ‘got’ it, or that I was the right audience for it. 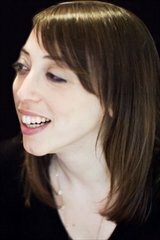 Author Jessica Grose is a talented writer. She blended the funny and the pathetic, the grim and the poignant in this story really well, and the whole thing has a very contemporary, wry, point of view of the sort that I typically appreciate. That said, I had a difficult time connecting with the main character Dana. Sure, I understand not getting over an ex – especially when the ex is an ex-husband. Even the worst marriages have a level of intimacy that doesn’t really compare to anything else, and when that relationship ends, it’s natural to be at a loss. The opening chapters, which talk about her cyberstalking her ex-husband Ethan and his new partner were flat-out funny, especially the depiction of her friends getting tired of her obsession. But when the book shifted from wry social commentary to mystery – Ethan and his new partner are found dead, and the story is on the front page of a major newspaper – I began to lose touch with the story. Maybe this was my own reaction to the whole ashram-commune mindset. (I don’t share well.) Maybe it’s my age showing – at 47, I’m outside the youthful/hipster demographic. Or maybe it’s just that not every reader connects with every book the same way. We’d like to believe that we read books with pure hearts and minds, but the reality is that we – or at least I – bring ourselves to the story as much as the author’s words and characters – we see things through the lens of our own lives – and my life just isn’t meshy with the last part of Soulmates. Do not think that I’m panning this novel. I’m NOT. As I said, author Grose is a talented writer. Her characters are vividly drawn, and feel plausible (that may be why I had such a visceral reaction to Dana’s arc). Her use of language feels like the best television shows, and her plot is strong. If you are a little bit younger than me, or more open to things like communal living and yoga as a lifestyle and not merely a form of exercise, you will love this novel. Even if you’re not into those things, there’s a good chance you’ll like it. Goes well with grilled tofu, tabouleh, and iced mint tea. Wednesday, July 5th: Dreams, Etc.